Reduce the Resource Consumption of Server how to guide is good for both data center owners as well as anyone who have Cloud based Virtual Dedicated Server. The content on server in the data center can be a tangible source of energy wasted. The reason is that the servers are deployed and configured for peak performance and capacity, but going in this way affect efficiency. Such a waste increases beyond the necessary operational expenses and can lead to use all the resources intensively, creating a situation in which the organization or individual is then forced to face expenses to expand the data center or the allocated computing power of the server. However, there are several to Reduce the Resource Consumption of Server, which those who manage these facilities can implement to improve the overall efficiency of the server, without having impact on the capacity, performance and reliability. The ultimate target to Reduce the Resource Consumption of Server is reduce the running cost. Limited use compared to the configuration for peak capacity is a major cause of waste in most data centers. Consolidate and / or virtualize as many servers as possible method can increase the total usage by 20-30 per cent. Significant reductions in both capital and operations costs have convinced many organizations to virtualize at least some of their servers and those that used heavily this practice have discovered another benefit, which is the ability to recover a significant amount of space. 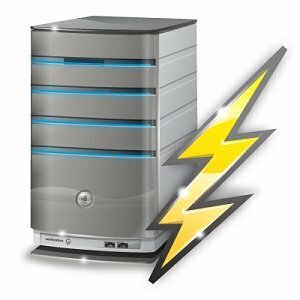 Server virtualization itself waste energy during periods of low demand for applications. Adding more RAM or allocation more servers should be on a schedule, based on a forecast of traffic or with a dynamic response to changing workloads. Several studies show that paying attention to this practice is not anything minor. Gartner found that the average cost to power a server during its life cycle can exceed the initial cost. Gartner also points out in their research that the cost go over $ 50,000 each year to power a single rack of servers. Another fairly intuitive to reduce resource consumption of main server is to choose equipment for data centers carefully with their specific energy efficiency. Although many organizations currently operate on redundant data centers to meet the needs of service continuity those are vital to their business, it seems that few fully exploit the advantageous configuration of load balancers. With moving workloads where we have the greatest availability at the time of calculation. Integration of virtualized applications and load balancing across multiple data centers offers managers the ability to manage the capacity according to demand in order to maximize the availability of computing power, minimizing energy consumption and operating costs. Another point is usage of Content Delivery Network for delivering static content, which itself cost quite less but reduce the resource consumption of server. Following the strategies to optimize page loading speed, significantly decreases the burden for public cloud. This Article Has Been Shared 7093 Times! Cite this article as: Abhishek Ghosh, "Reduce the Resource Consumption of Server Following Strategies," in The Customize Windows, October 24, 2012, April 26, 2019, https://thecustomizewindows.com/2012/10/reduce-the-resource-consumption-of-server-following-strategies/.